Get Set for the 2017 Plymouth Folk and Blues Festival! The lively, two-day, 2017 Plymouth Folk and Blues Festival returns to Plymouth Notch and the President Calvin Coolidge State Historic Site this Labor Day Weekend – September 2nd and 3rd, 2017. The Plymouth Folk and Blues Festival is one of the top ten fall events here in the Woodstock area. The festival, which celebrates its 13th year in 2017, has become a local Labor Day Weekend tradition. Plymouth’s annual folk and blues festival always attracts some of the best regional and even national talent. This year’s festival line-up includes Hungrytown, Dupont Brothers, Bow Thayer, Eric French, Alastair Moock, Danielle Miraglia, and Jay Ottaway. People come from all around every year to enjoy live roots music in the pure country air of historic Plymouth Notch. You should, too! 8pm – Saturday Night Jam Session Hosted by Jay Ottaway at Plymouth’s Five Corners Pub & Brewhouse. Wanting to attend the event but have some little ones you can’t shake? Bring them along! The festival offers a variety of children’s entertainment to keep them busy and let you enjoy the music. Wagon rides, face painting, arts n’ crafts, and more will keep those little fingers out of mom and dad’s hair for the show. Everyone wins! 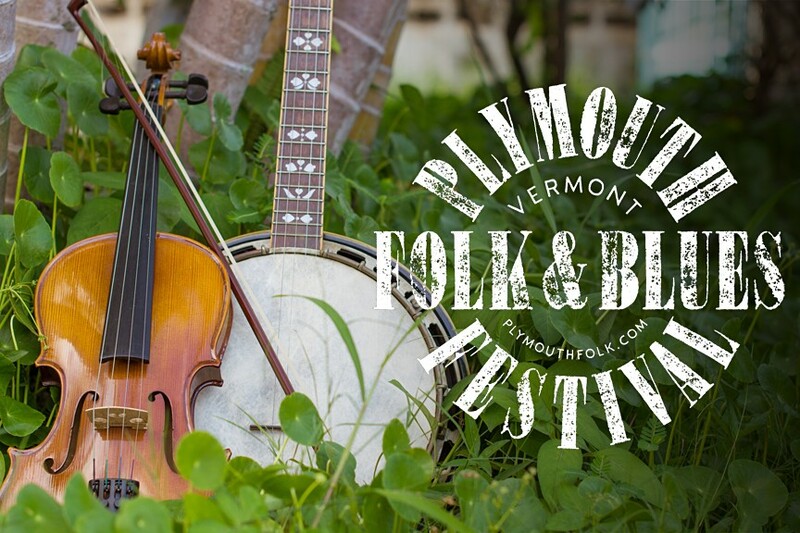 The Plymouth Folk and Blues Festival is a free event held rain or shine at the historic 1840 Union Christian Church in Plymouth Notch. The festival also gives you the opportunity to explore some of Plymouth Notch, if you haven’t before. Plymouth Notch, Vermont is the birthplace and boyhood home of the 30th President of the United States, Calvin Coolidge. The homes of Calvin Coolidge’s family, neighbors, and much of the town remain virtually unchanged since the early 20th century. Plymouth Notch, a National Historic Landmark listed on the National Register of Historic Places, is always worth a visit. Visit www.plymouthfolk.com for directions and more details. You can also follow the festival’s Facebook page for up-to-the-minute updates. Our Woodstock B&B is just minutes from Plymouth Notch. Deer Brook Inn is located in a charmingly restored, historic, 1820’s farmhouse with four spacious guest rooms and suites with en suite bathrooms. Let us help you make the most of your Vermont vacation with our delicious breakfasts, unbelievably tempting amenities, and a locals knowledge of what to do and see in Vermont’s Woodstock area. Book your stay at Deer Brook Inn today!